Not content with threatening to cut off funding for artists she deems disloyal to Israel, Miri Regev, Israel’s far-right culture minister, is apparently seeking to project power onto her country’s preeminent foreign policy issue: the recently signed nuclear deal with Iran. 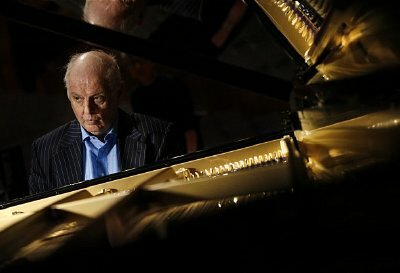 Ms Regev said on Wednesday that she planned to lodge a formal protest to the German government about a possible musical visit to Iran by Daniel Barenboim, the celebrated pianist and conductor, and that she would ask Berlin to stop the conductor from travelling. “Daniel Barenboim, a citizen of Israel, will perform in Iran together with the Berlin Philharmonic,” Ms Regev wrote on her Facebook page after reports circulated in the media that he might travel to Tehran in September. “Daniel Barenboim’s concert in Iran hurts Israel’s efforts to prevent the nuclear agreement and boosts the delegitimisation efforts against Israel,” she added. Ms Regev, a member of Benjamin Netanyahu’s Likud party, sits well to the right of the prime minister in one of the most right-wing cabinets in Israeli history. She openly scorns many of the figures in Israel’s cultural elite served by her ministry, and has even dismissed artists as “tight-asses”. Some of her more extreme comments – such as when she likened African migrants in Israel to “cancer” make even conservative Israelis cringe. Mr Barenboim, an Argentine-born Israeli who holds several musical directorships in Europe, is a harsh critic of Israel’s policies in the occupied territories. He co-founded, with the late Palestinian-American writer Edward Said, the West-Eastern Divan Orchestra, which brings together young Arab and Israeli musicians. “Barenboim has taken an anti-Israel stance and he makes sure to slander Israel while using culture as leverage in order to state his political opinions against the state of Israel,” Ms Regev wrote. Mr Barenboim serves as musical director of the Berlin State Opera, Milan’s La Scala and the Berliner Staatskapelle, but – contrary to Ms Regev’s post – holds no such position with the Berlin Philharmonic. A spokeswoman for the Berlin State Opera – which is on summer recess – could not confirm the reports on Wednesday, and the Vienna Philharmonic denied it had any plans to visit Iran next month. The shrill tone of the Israeli culture minister’s reaction to the rumour says something about her style as a politician, and quite a bit more about the current anxious mood in the Israeli establishment about the nuclear deal. Her remarks also reflect a querulous, aggrieved tone among many Israeli officials as the Iran deal heads toward final implementation. The Israeli government has argued tirelessly against the deal, saying it will free up billions of dollars Tehran can use to fund its own allies in the region – such as the Shia militant group Hezbollah – and put in place an inspections regime the Iranians can exploit if they choose to. With more and more politicians and businesspeople planning visits to Tehran – including German foreign minister Frank-Walter Steinmeier, who is due there in October – many in Israel feel betrayed by its closest allies. This included the US, where more members of Congress are voicing support for the nuclear deal ahead of next month’s vote. But it looks as if the show is going to go on whether Israel protests or not – and whether or not Mr Barenboim’s supposed visit to Iran ever takes place.